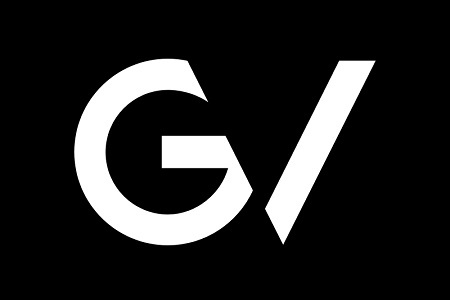 With solid financial backing from parent company Alphabet, Inc., Google Ventures (GV) is pressing ahead with plans to invest heavily in medtech, biotech, and digital health ventures to disrupt and transform healthcare. Venture capitalists pumped a record $57 billion into U.S. companies in 2014, but just 5.9 percent of those investments were in medtech companies, according to an industry report. In the first half of 2015, medtech companies have pulled in only 3.8 percent of venture dollars. But while most investors have been hesitant to bet on healthcare companies, that's not the case for GV, which has poured significant investments into companies in the medtech, life sciences, and digital health arenas, according to GV founder Bill Maris. He can afford to be bold, as GV’s funding draws from Alphabet's huge financial resources. He said that GV’s venture capital fund has $2.4 billion, and last year the company invested about one-third of its funding into healthcare, despite having to deal with a strict regulatory environment and longer times for investments to pay off. Before founding GV, Maris studied neuroscience at Middlebury College, and he has a background in life sciences, artificial intelligence, and medical device development, according to his GV bio. Maris also worked in Google's Calico venture, and in biotechnology portfolio management for Swedish investment firm Investor AB. He brought this breadth of experience to GV, which aims to transform healthcare using the latest research and technology. “I can think of no more important mission than to improve human health and global quality of life,” Maris said in a recent announcement, according to a blog post by physician and startup advisor Kirti Patel. According to Bloomberg, healthcare jumped from just six percent of GV’s overall investments in 2013 to 34 percent in 2014, and 31 percent in 2015. GV's recent healthcare investments include Editas Medicines Inc., which is developing gene editing technology; Foundation Medicine, which is building genetic profiles of cancer tumors; and Denali Therapeutics Inc., a biotech working on treatments for neurodegenerative diseases. Another big investment is Flatiron Health, an oncology-focused technology developed by two former Google employees. “Flatiron is basically integrating EMRs (electronic medical records) in the outpatient and hospital setting, and it provides data back to physicians as well as aggregating data to aid with discovery and help with regulatory processes.” said Dr. Krishna Yeshwant, a GV general partner, to Patel. In the interview, Yeshwant also mentioned current and future investments in telemedicine, genomics, population health, and chronic disease management, illustrating GV's strategy to invest in a diverse set of healthcare areas. GV's healthcare bets have encountered difficulties navigating regulatory hurdles. For example, FDA put the clamps on GV-backed 23andMe Inc.'s direct-to-consumer genetic tests, though the agency later allowed the company to provide its health reports for certain disorders. GV also has to deal with the time startups need to flesh out fledgling healthcare and medtech technologies. For instance, Editas is not expected to conduct the first human trials for its gene-editing technology until 2017. It's also uncertain how FDA will regulate such technology, and whether insurers are open to reimbursements.